Looking to continue the March Madness? After enjoying the Soda City Market and Hoops on Main event on March 23rd, head over to the NCAA Block Party at Tin Roof at 1PM. This event is FREE until 9PM. 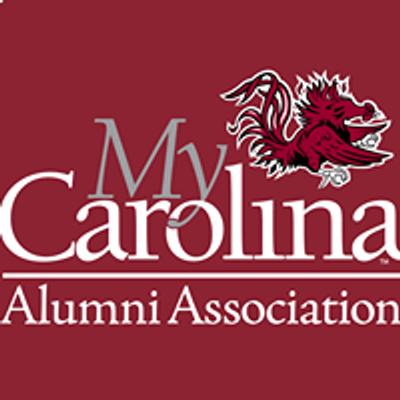 But as a My Carolina Alumni Association member, the $5 fee will be waived! If you plan on reserving your tickets in advance, be sure to use the special promo code “GAMECOCKS” here: https://bit.ly/2VLHvk6Additionally, you may show your current valid member card to gain free entry after 9PM. Your entry includes access to the 80s & 90s Dance Party where you can shake your tailfeathers to Rubiks Groove.What else does the event entail? • The whole outdoor patio and lot will be tented to create an Outdoor Basketball Village, complete with Pop-A-Shots, Live Music (when the games aren’t on) and 2 Jumbo 12-foot-wide TV’s.• Inside The Senate all the NCAA games will be projected on 4 giant screens. There will also be more Pop-A-Shots so you can prove to your friends how you could have drained that 3 pointer at the buzzer. 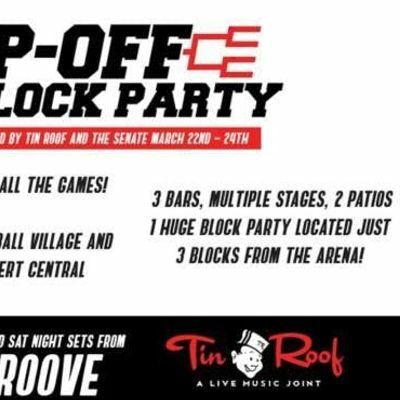 • Tin Roof will have all the games on inside as well with their garage door rolled up so you can mingle between The Senate and the Outdoor Basketball Village.